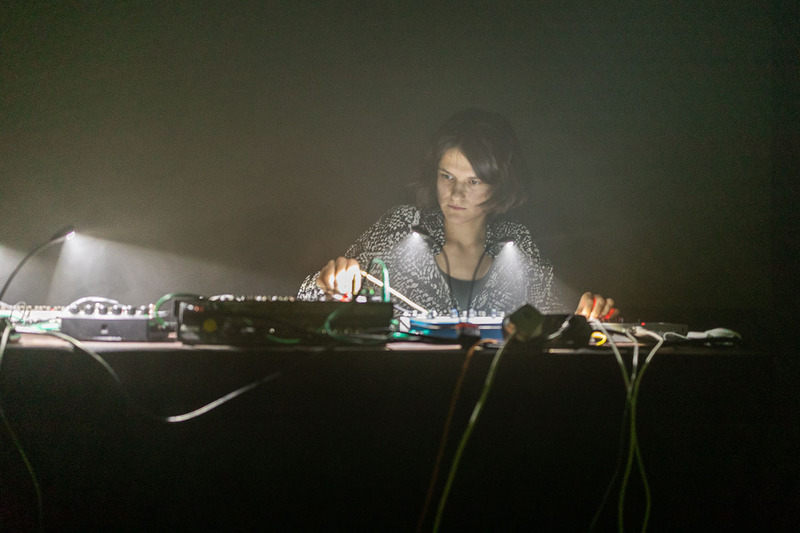 Ewa Justka is a Polish electronic acid-technoise artist, self taught instruments builder and electronics teacher. She is also interested in the notion of materiality of objects, vibrant, ontological systems and an investigation of modes of quasi-direct perception through extreme light and sound actions, electronics, hardware hacking, breaking, deconstructing, wiring. Tonight’s set is from Cynetart Festival, where she performed last year.